Admill Machine recently celebrated its 30th anniversary with employees, Mayor Erin Stewart and other city officials. The aerospace and precision machine manufacturer has a concentration in 3D milling, wire Electrical Discharge Machining (EDM) and turning. The company recently opened a 22,000 square foot facility, located adjacently from its 34,000 square foot plant on John Downey Drive. The company also focuses on lean manufacturing which has helped in its development of cellular manufacturing and flow lines. Admill Machine serves the power generation and aerospace industries. Among the company’s largest customers are General Electric, Rolls Royce, ITP Aero and Pratt & Whitney. In 2007 the growing business had only 21 employees but it currently serves as an employer to 140 individuals. 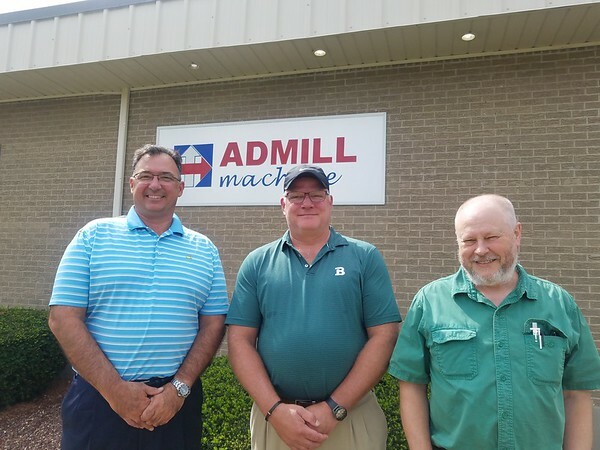 The company’s management team said that along with 30 years in business and the opening of a new plant, Admill Machine celebrated its employees, who are often incentivized to help meet the business’ goals. “We have nurtured a team environment where we have certain company goals, if the goals are met, there are bonuses paid out quarterly,” Jeffrey Hiller, President of the company, said. The new facility is working with newer technology such as automation and computer controlled inspection equipment to reach high productivity. Admill Machine works with Central Connecticut State University’s engineering program by providing internship and training to students. Murphy’s announcement stated that the company has averaged 30 percent yearly growth over the last three years. Admill Machine was established in Bristol in 1988 by Krzysztof Rucz. The company has been moved to different locations throughout the years and 10 years ago it was moved to its current location. To learn more about Admill Machine call 860-356-0330. Posted in New Britain Herald, Business, on Monday, 3 December 2018 19:15. Updated: Monday, 3 December 2018 19:18.